Ocean-themed accent pillow featuring a starfish design comprised of printing, with capiz shells and beadwork. 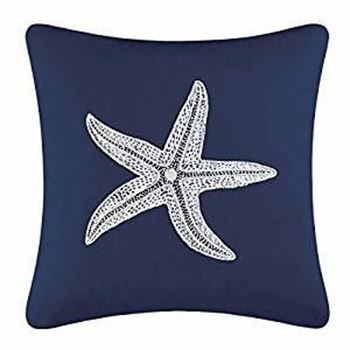 Ocean-themed accent pillow featuring a nautilus shell design comprised of printing, with capiz shells and beadwork. Zipper closed with removable recycled polyester fill. Reversable to solid blue.